When chiropractic gets mentioned in a social gathering or dinner conversation, most people instinctively correlate it to pain relief. Although that is one of the benefits, science and research show the value of chiropractic adjustments extend much further than just pain and headache relief. Science connects areas of spinal stress and malfunction with changing the body’s chemistry enough to even influence a person’s ability to lose weight. Is Fight or Flight Blocking Your Weight Loss? Research from 2012 found that overweight participants who had the hardest time shedding unwanted fat pounds were those whose nervous systems had been stuck in a stressed pattern. In the 12-week dietary weight-loss program, researchers discovered that those successful with weight loss had significantly higher resting nerve activity compared to the individuals who were more resistant to weight loss. In other words, the key ingredient to those who lost weight was balance in the nervous system. This sheds light on testimonies shared by millions of people under chiropractic care who have experienced added weight loss after routine adjustments. 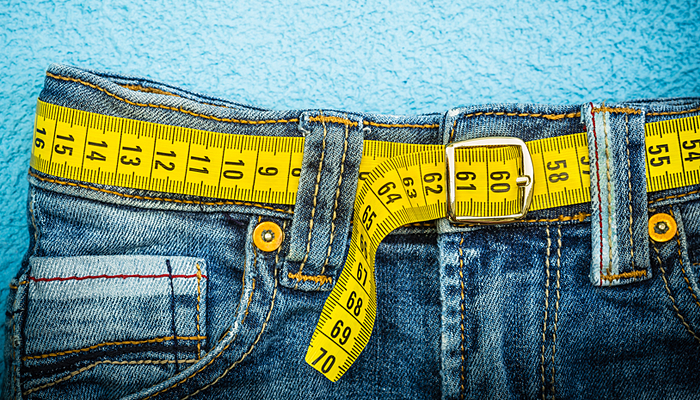 Skeptics challenge the chiropractic connection to weight changes by saying, “show me the science” or “how in the world could an adjustment influence weight loss?” These are great questions that require an explanation. Research and science have proven the spine to be so much more than just a hard set of bones which hold a person upright. An intimate connection exists between the spine and the brain. Some experts have gone so far as to refer to the spine as ‘the motor for the brain’. The brain is dependent upon the spine’s alignment and movement for health and function. The spine is unique to any other part of the body because of the number of neurons located in and around it. This makes the proper alignment and movement of each vertebra so vitally important. If the spine becomes misaligned or loses full range of motion in any joint, the neurology is compromised. And a compromised nervous system leads to organ dysfunction and changes in body and blood chemistry. Research has proven that chiropractic adjustments reduce overactive (sympathetic) tone of the nervous system which in turn reduce stress patterns seen in the nervous system and improves hormone balance. This is the scientific explanation which helps show why and how a chiropractic adjustment can influence weight loss. From the study, the research participants who had an increased tone in the nervous system experienced more resistance to weight loss. Chiropractors look to find areas of stress in the nervous system that have resulted in misaligned and abnormally-moving spinal levels. The chiropractic adjustment restores motion and alignment to allow greater nervous system balance. Chiropractic could be part of the missing link for millions of people looking to lose weight and feel great. Regular chiropractic adjustments combined with appropriate lifestyle changes can help shed the pounds and keep them off. Weight loss and long-term weight optimization is all about hormone balance. Chiropractic adjustments improve the balance of hormones by reducing stress from the nervous system. The world deserves to know and partake in the full scope of benefits provided through Chiropractic care.